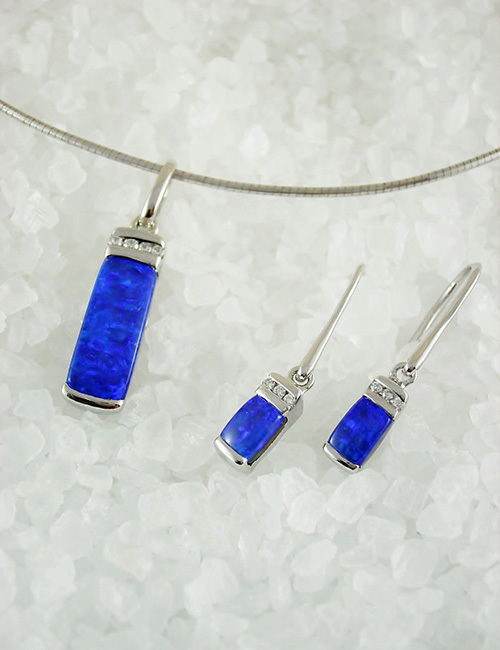 Sparkling bright electric blue, glittering with turquoise, solid boulder opal set in anti tarnish sterling silver. The pendant and earring set are just gorgeous with the pendant measuring 26mm in entire length, 5mm wide. The drop style earrings are 25mm in entire length with the opals alone measuring 5mm x 3mm.